Weather change, rise or decrease in temperature, and other environmental factors ring an alert siren for many diseases. Jaundice is one among such diseases. It might be common but do not worry, it can be cured easily. Please remember, in extreme conditions, you must consult a doctor as it may lead to death. For the initial stage, you can absolutely rely on the effective home remedies for jaundice. Jaundice is disease caused due to high bilirubin level in our body which results into yellowish or greenish pigmentation of the skin and the whites of the eyes. Improper function of liver spikes the bilirubin level. Jaundice can even occur in newborn babies in the first week following the birth. Yellowness of the eyes is the primary sign of jaundice, later feces may turn pale and urine dark. Some symptoms of jaundice are easily recognizable, which make it easy for you to detect and take precautions before it hits the extreme conditions. Old red blood cells of our body break down in the liver and form a yellow pigment called bilirubin. The inability of liver to metabolize this bilirubin causes jaundice. Sometimes, bilirubin doesn’t make it to digestive tract, where it gets excreted through stool. Inability to remove bilirubin from the body leads to jaundice. In rare cases, increase in number of dead red blood cells or entry of too much bilirubin in liver can result into jaundice. Here is the complete list of all the home remedies for jaundice. Try the ones which work well in your body and free yourself from jaundice and its symptoms. 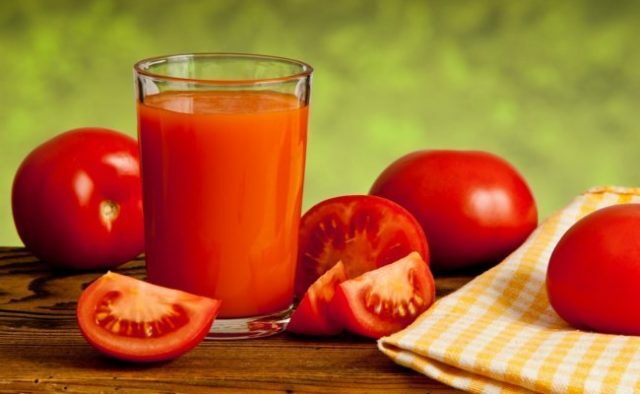 Tomato juice works wonder on jaundice as it contains good amount of lycopene, a compound that helps in improving liver health. To make the juice, boil 4 to 5 tomatoes for 15 minutes. Then, peel off the skin, crush them, and extract the juice using a sieve. Drink it every morning on an empty stomach. For effective results, you can sprinkle some salt and pepper in the juice. The yellowness of jaundice can be relieved by using turmeric. A mixture of a teaspoon of turmeric and half cup of water is all you need to cure the yellowness. You can drink this mixture 3 times a day to beat jaundice. The ingredients of one of the quick remedies for jaundice are almonds, dried dates, cardamons, butter, and sugar. Take 6-7 almonds, 2-3 dried dates, 3-4 cardamons, and soak them overnight. In the next morning, crush or grind them into ma fine paste. Mix them well by adding 1 teaspoon of butter and 2 teaspoon of sugar. You can eat this mixture once a day. Banana helps you avoid jaundice. To derive its benefits, mash a ripe banana and add 1 tablespoon of honey to it. You can have this twice a week. Don’t get scared by its chemical name, it is easily available, and is effective against jaundice. Heat a piece of alum in a frying pan till it expands and crush this into powdered form. Add a pinch of this powdered alum into fresh curd and have it thrice a day. Papaya is a rich source of peptin which helps to fight jaundice. Few tender papaya leaves are all you need. Prepare a fine paste of these leaves by crushing them and mix half tablespoon of it with water and sip it. If you don’t like the taste, then you can take it with one tablespoon of honey. Barley water is useful to get rid of jaundice, and it even aids in faster digestion. You can simply soak barley in water for 3 hours or boil it, and drink the solution throughout the day. Another way is to pressure cook the soaked barley till 7-8 whistles, strain it when cooled and sip it. You can also add a pinch of salt and honey to taste. Abundance of iron in spinach make it good for treating jaundice. In addition to it, both spinach and carrots are rich source of vitamins and minerals that improve the recovery time. Grind chopped spinach and carrot to make juice of this mixture, and sip it. 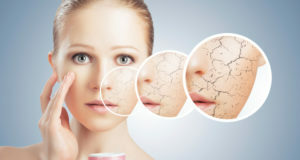 Seeds are good for reducing the yellowness of the skin. Roast and ground cumin and carom seeds, then mix it in equal proportion. Add this mixture in water and have it twice a day. For better taste, add rock salt to the solution. Furthermore, coriander seeds water helps in alleviating jaundice. Simply boil the seeds in water and drink it. Popular for its healing powers, garlic is absolutely good for your liver. It is the easiest remedy since you just have to eat some cloves of garlic on an empty stomach in the morning. And, guess what, it speeds up the recovery process. Gooseberries are filled with vitamin C and other essential nutrients which effectively combats jaundice. Drinking amla juice is best to recover from jaundice. Boil gooseberries in water or pressure cook it. Once they cool down, break it open and remove the seeds. Now grind the gooseberries to a fine paste, mix the paste well with water and drink it. For better flavor, add salt, sugar, and even cardamom powder. A rich source of fiber in sugarcane ensures the proper functioning of liver. You can simply chew it to extract its juice. To make its juice, peel off the outer layer, cut it into smaller pieces, and grind well with a tablespoon of lemon juice and small piece of ginger. Now, filter the mixture to remove other particles, and drink it two times a day. Lemon is well-known for its anti-inflammatory properties that helps to cure several health issues, including jaundice. It guards the liver cells from damage. Squeeze 1-2 lemons in a glass of water and sip it. To savor its taste, add a teaspoon of sugar and a pinch of salt. 14. How About Lemon Leaves? Along with the juice, the leaves of lemon are beneficial for controlling jaundice. To make a concoction of lemon leaves, boil a cup of water and when it begins to boils, add few lemon leaves to it. Strain it when it cools down using a sieve, then drink to get relief from jaundice. This pink vegetable helps in fighting jaundice. Consuming beetroot juice will increase the recovery pace of jaundice. For effective results, mix it with lemon juice and drink in regular basis. Another remedy from grandma for jaundice is coconut water. It clears or lightens the color of urine, and simultaneously reduce the body heat. Drink coconut water twice or thrice everyday. Ginger provides a plethora of benefits to our body. To keep the jaundice away, consume a mixture of half teaspoon of ginger juice, 1 teaspoon of lemon juice and a teaspoon of mint extract. Go gentle on your palate with a dash of honey in the mixture. Bitter luffa is one of the most-recommended remedies for jaundice. For this, you have to pound and squeeze the bitter to extract its juice. Place the juice on your palm and inhale it. As a result, a yellowish liquid will run down your nostrils. This will give you relief from jaundice. 19. Bitter Gourd: Bitterness Continues.. Bitter gourd helps in fading away the symptoms of jaundice, especially the yellowness. Consume two spoon of bitter gourd juice twice a day and see the results. 20. Pomegranate: Call Grandma Now! Grandmothers are famous for peeling off pomegranate, removing each and every seed of it, and displaying them on plate for you. Eating a lot of ripped pomegranate definitely eases jaundice. You can also drink pomegranate juice regularly. Curd works incredibly against jaundice. Simply take a bowl of yogurt everyday. To spike its effectiveness, add some turmeric powder to it. Buttermilk is not only good for digestion, but also good for liver health. Drinking buttermilk thrice a day will make the recovery process of jaundice faster. Also try adding, a pinch each of black pepper powder, turmeric, and cumin seeds to the buttermilk. Juice prepared from radish leaves help in treating the symptoms of jaundice. It helps to detoxify the blood and recover the loss of appetite. Boil a few fresh leaves of radish in water. Crush these together to extract its juice and drink a glass of this juice for at least 8-10 days. This remedy has known to be effective since olden times. Basil leaves regulate the production bile and improve the normal functioning of liver. Crush 7-8 basil leaves and add it to a glass of water. Drink this concoction twice a day. Liquorice or licorice is the root of Glycyrrhiza glabra which helps to remove the toxic substances from the liver and improves its potential to discard harmful substances from our body. Ground the licorice root into fine powder and mix a teaspoon of it with rock salt and chicory seeds. Have half a teaspoon of this mixture twice a day. As the suggest, jaundice berry or Berberis Vultaris is highly recommended for jaundice patients. Take a teaspoon of jaundice berry juice which can be extract from the bark of this herb. You can consume it couple of time every day. Considered to be sacred by Hindus, Bael is used in traditional medicine for treating several diseases, including jaundice. Grind few bael leaves to form a paste, and in a teaspoon of this paste sprinkle black pepper and take it. This has to be followed by a cup of buttermilk. To prepare chamomile tea, infuse 2-3 teaspoons of dried chamomile flower into a cup of hot water for three minutes. With the help of a tea strainer, strain the tea into another cup and sip it. Feel free to add honey and few drops of lemon juice to it. Drink it once a day to keep the jaundice away. Put two teaspoon of oregano in a cup of water and let it boil in low flame for 10 minutes. Strain out the solution and sip it to control the symptoms of jaundice. To cure jaundice, crush pigeon pea leaves to extract its juice and drink this juice every day. You can also make its leguminous beans a part of your diet. All the parts of chicory plant are beneficial for treating liver problems. The juice prepared from chicory plant promotes healthy functioning of liver, regulates bile production, and thereby alleviates jaundice. For jaundice relief, mix pulp of aloe vera leaves, black salt, and ginger. Have this mixture in the morning for a week. Recommended by experts, these leaves aids in curing jaundice. Boil 7-8 snake gourd leaves with a cup of water. Once it cools down, combine it with coriander seeds water. Then, you can drink this mixture for three times a day. Another leaf that is used as a remedy for jaundice is margosa leaves. In a glass of water, add half tablespoon of juice extracted from margosa leaves, 2 teaspoon of sugar, and sip it every morning. Non-vegetarian foods don’t go well with jaundice. Make sure that you don’t consume it while suffering from jaundice till the yellowness is visible on skin. Rich with essential nutrients, fruits should be an ideal part of your healthy diet. Ensure to have fruits which have high water content, such as cucumbers, watermelon, musk melons and so on. Spicy or deep fried foods have fat content that are not easily digestible. While suffering from jaundice, liver loses its ability to digest these fats. Therefore, avoid spicy foods till you recover completely from the ill effects of jaundice. Sticking to normal home-made food and fruits is the best way to treat jaundice. The tempting foods that come in packets might look good, but it only worsen the condition of liver. Yes, jaundice exhausts all the energy level of your body. So, a good rest and healthy diet are all you need to recover faster from jaundice. Make sure not to strain your eyes by continuously watching TV or phone screens and do not exert your body with physical activities. The best remedy for jaundice in young children and newborns is lactating mother’s milk. the breast milk is packed with nutrients that are essential for baby’s health. It builds the immunity of the baby to fight against all sorts of diseases, including jaundice. Now, you have all the effective home remedies for jaundice. An important take-home advice is to visit your doctor for regular health check-up to avoid the chances of developing diseases. Additionally, stick to healthy diet, provide your body the daily requirements of nutrients, and ensure regular exercise to stay fit and fine.